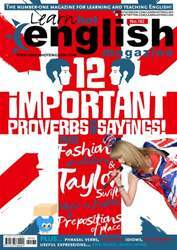 Digital Subscriptions > Learn Hot English > Hot English 162 > HOW STUPID CAN YOU GET? Here are three stories of stupidity. A woman was arrested after trying to steal a police car... with two police officers inside. The 32-year-old was reportedly drunk when she tried to get into the driver’s seat of the unmarked car in Pittsburgh, Pennsylvania. She told the two plainclothes officers in the back that she wanted to drive their car to where she’d left her vehicle earlier – but the officers arrested her on the spot. According to the Pittsburgh Post-Gazette the woman had “an overwhelmingodour of alcoholic beverageemanating from her person”. She was later charged with robbery and public drunkenness.